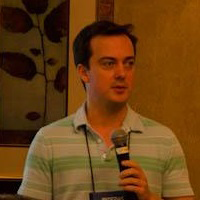 Vico Marziale, PhD, is Co-Founder of 504ENSICS Labs, where he is responsible for research and development of tools and techniques for digital forensics, malware analysis, and incident response, funded most recently by the DARPA Cyber Fast Track program. In addition to research and development, Vico conducts digital forensic investigations, incident response and penetration tests. He is co-developer of Registry Inspector Forensic (RIF), as well as the widely used Scalpel file carver. Vico's primary research focus is practical tools for digital forensics, and he has published a number of peer-reviewed papers in the field. He has presented his research at conferences including RSA Conference, BSides, DFRWS, DOD Cybercrime, and the Open Source Digital Forensics Conference.